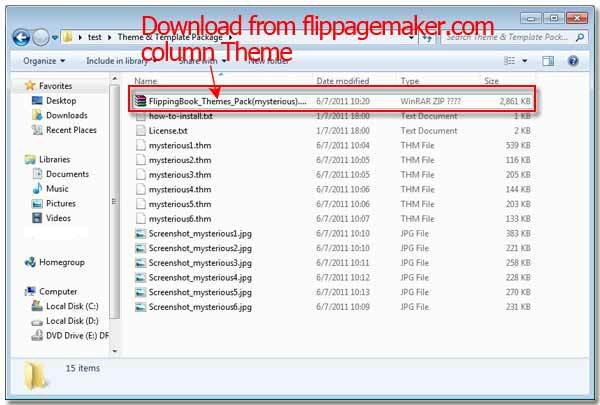 How to install Themes & Templates for FlipBook Creator Professional? Step1: Extract the ..zip file to a folder on your PC. 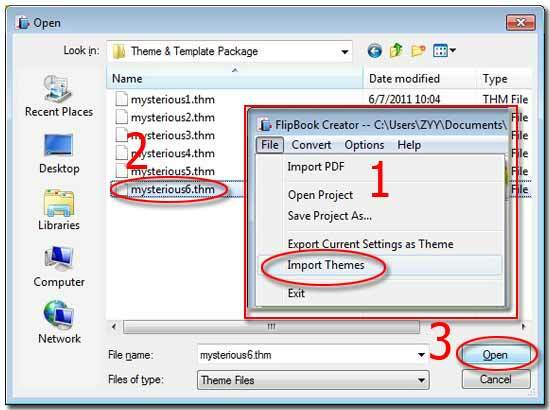 Step2: Launch FlipBook Creator Professional, then Click "File" --> "Import Themes." Step3: Locate the file with a .thm extension and click "Open" to load it into FlipBook Creator Professional's Templates panel. If you would like to learn how to customize your own style templates, click on this link for instructions http://www.flippagemaker.com/faq/customize-templates-theme-of-your-own-style.html.